Huw Rees | Ivy Bush Wedding Fayre! Hello Ladies yes it’s that time again… Wedding Fayre season. 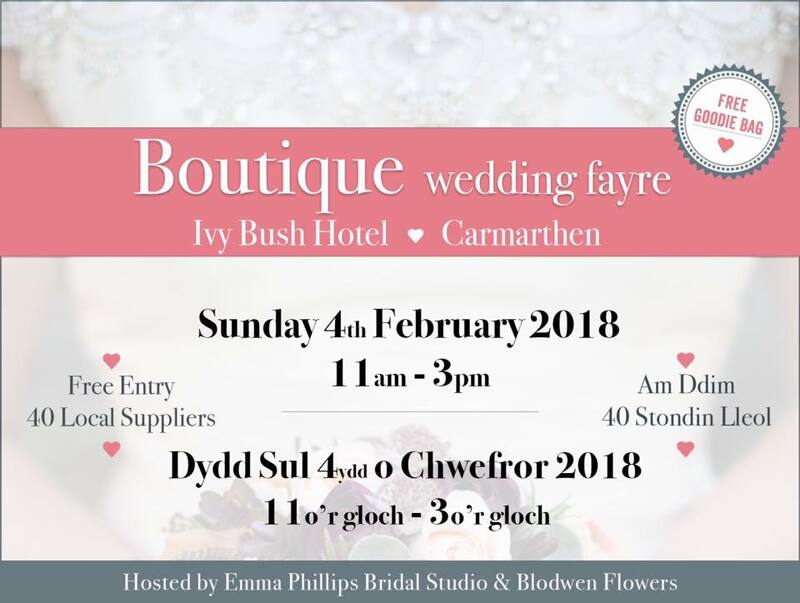 This Sunday 4th of February we will be at the Boutique Wedding Fayre at the Ivy Bush Hotel in Carmarthen. We are there at 11am – 3pm. Come and view our beautiful gowns in person, come along for a chat and we will answer all your queries and questions. We are here to help. We shall look forward to see you there!